In this month of remembrance, there are numerous people who we can call unsung heroes of WW1. They are not remembered on any memorial but served their country just as much as those remembered each year on 11th November. This is the story of such a young woman who served her community of Brampton throughout the WW1 period with honour and dedication to the sick and wounded soldiers who were repatriated back to Great Britain for hospital care and attention. Whilst we are not singling this young girl out as the only local hero, this article is a short story of the life and sacrifice of one member of the Brampton community that should be remembered. 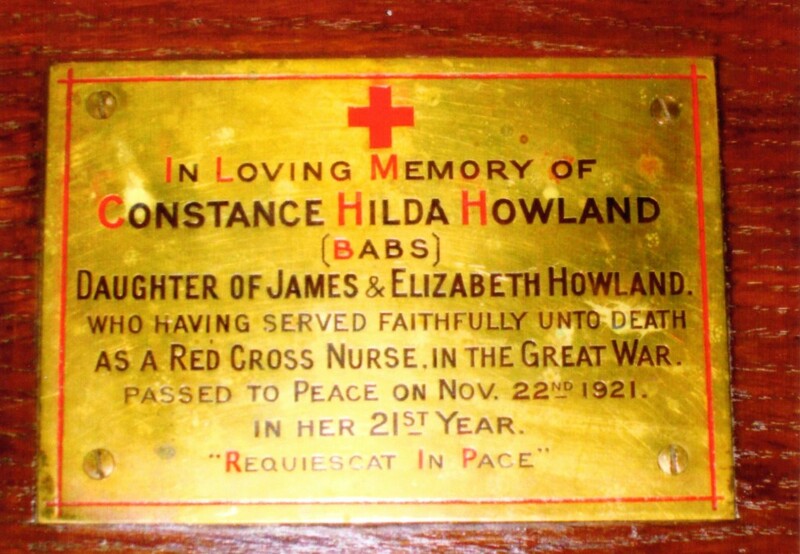 Constance Hilda Howland (Babs) was the second daughter of Elizabeth and James Neaves Howland. The family lived at Emerson House, Buckden Road, Brampton (just opposite the Dragoon public house). Her father was on the Parish Council a great many years, a Trustee of the Miller Charity and was also an Overseer for the relief of the poor. James and his family were well regarded in the community as caring individuals who were always helping their fellow man. During WW1 both the village rectory and The Towers at Buckden were both hospitals where the family helped with the sick and wounded. 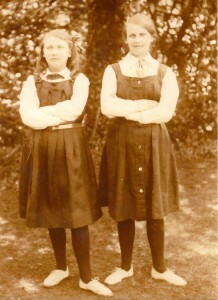 Hilda Howland and her sister Dorothy both attended Huntingdon Grammar School, and can be seen in their school uniform in the picture above. As soon as her final exams were over in 1916, at just aged 16 years Hilda volunteered to become a Red Cross nurse and joined the nursing team at Walden House (VAD) hospital in Huntingdon (53 High Street, Huntingdon). The hospital was treating the wounded and sick who were sent back from the trenches. Walden House Hospital closed on 31st January 1919, after 3,900 men had passed through the hospital during the Great War, in addition to many hundreds of out-patients, often up to 50 per day. A few days before it closed, Mrs Scott Gatty, an indefatigable fund raiser for the hospital, who lived in Castle Hill House (used by the Pathfinders in WW2), donated badges with “Huntingdon VAD Hospital 1914-1919” engraved on them, and presented them to all her staff. 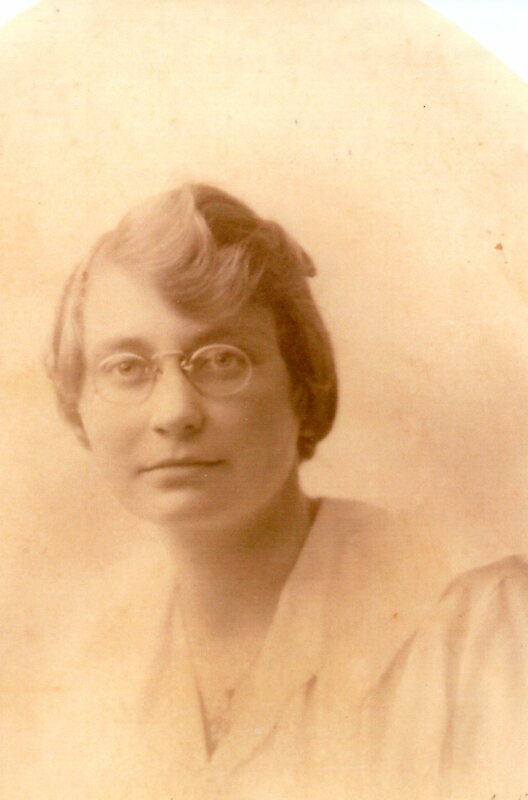 Hilda worked very hard during her nursing career, working long hours often strenuous work helping the wounded, being constantly exposed to the diseases, including TB, that the troops brought back from the front. 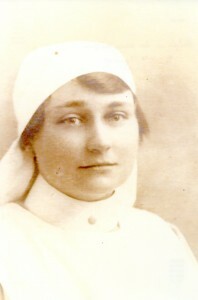 Shortly after the hospital closed Hilda became very ill with TB that she had contracted from the troops she was nursing. Her family nursed her and said that she bore the her illness with fortitude and patience. Sadly she lost her battle against TB and she died on 22nd November 1921, just aged 20 years. The internment was in Brampton Cemetery with the Rector, Archdeacon Kenneth Davenport Knowles, officiating at the service. Archdeacon Knowles had been a Chaplain to the Forces at home and abroad and was well acquainted with the horrors of war and the dangers of disease; he had been gravely ill from an illness caught in the trenches in France. In Brampton Church there is a small plaque in the table next to the alter in front of the choir stalls to the memory of the young and courageous girl. 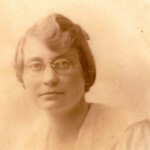 Thank you Hilda for the sacrifice you made and the help and nursing care you gave to our soldiers in those awful years of WW1.